Are you searching for a Garland Roofing Contractor? Fair N Square Roofing & Construction offers both commercial and residential roofing services. Our team of roofers in Garland, TX, is happy to serve the local neighborhood by providing premier replacement and repair options and unmatched customer care. Your homes roof is the first line of defense verse the North Texas weather conditions. When it comes to safeguarding your house or company, you should only hire the best Garland roofing contractor. Attention to detail is crucial when it comes to roofing tasks. As an expert roofing company in Garland, Texas, we ensure that our work follows the code. Our strong ties to the local Dallas-Fort Worth metroplex make us fully equipped to manage the most intricate roofing tasks effortlessly. 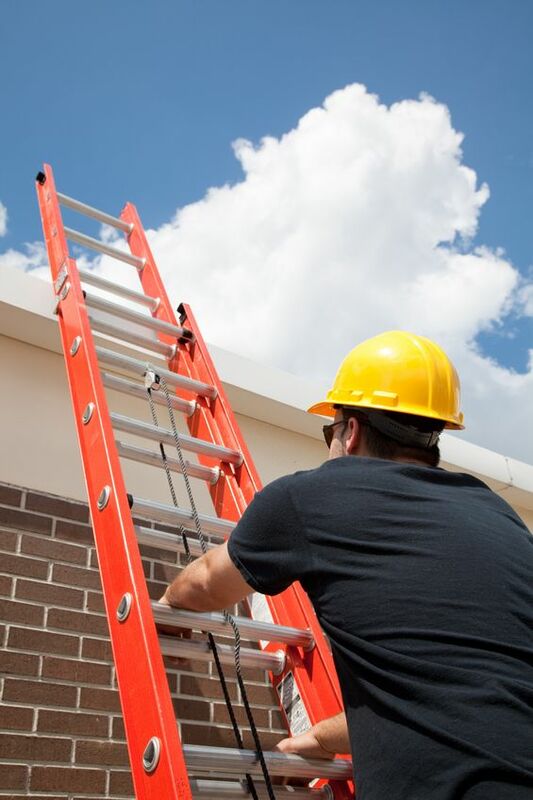 Whether you require emergency roof repair work or preventative upkeep, you can depend on our group of skilled Garland, TX roofers to offer remarkable service at a competitive rate. If a strong storm has left your house with a leaking roofing system or if your roofing has suffered damage due to age, Fair N’ Square Roofing will come out and examine it free of charge. The weather condition in Texas can be unforeseeable; however, the high quality of your roofing service shouldn’t be. Do not succumb to “storm chasers” that blow into town like the wind and leave just as fast. We are a local DFW roofing company and will be around for years to come. Roofer in Garland, TX working on a roof repair job. Whatever that we do, from easy residential roofing repair work to large commercial roofing projects, we continuously utilize the highest quality products. While products matter, roofing is only as right as the roofing contractors who install it. Our Garland, Texas roofing team is known for its service and focus on detail– you will not discover a group more dedicated to real quality in all of North Texas. Have you by chance thought, “I wish there were a roofing contractor near me that appreciated their clients”? Frequently, Dallas area roofing companies care more about revenues than individuals. We believe in treating our clients the very way we would wish to be treated– with sincerity and regard. That implies paying attention to your issues, addressing your concerns, and honestly advising the repair work you require. Nothing is more vital to us than your fulfillment. If you want the best roofers in Garland, TX, you can rely on Fair N Square Roofing & Construction to supply extraordinary craftsmanship from start to end. When you set up a complimentary roof inspection, we will supply you with an in-depth report on the condition of your roofing system. To arrange a no-obligation assessment with the top Garland Roofing Contractors, call or contact us online today!